Government is considering to bring long term policies and scheme for installing solar power plants with 1 lakh MW capacity in the country. It has announced revision of the target of renewable energy capacity of the Ministry of New and Renewable Energy to 1,75,000 MW by 2022. This was stated by Sh. Piyush Goyal, Minister of State (IC) for Power, Coal & New and Renewable Energy in a written reply to a question in the Rajya Sabha today. The revised target of 1,75,000 MW comprises of capacity addition of 1,00,000 MW Solar, 60,000 MW Wind, 10,000 MW Biomass and 5,000 MW Small Hydro Power. vi. 10 MW Pilot Projects for Solarization of Indo-Pak Border. The Minister further stated that the plan of action to achieve the target of 100 GW by 2022 is under preparation which broadly consists of 40 GW Grid Connected Rooftop Projects and 60 GW Large and Medium Size Land based Solar Power Projects. Government has requested Central PSUs to indicate their contribution towards solar capacity addition in the country during the next five years and submit Green Energy Commitment Certificates for the same. This was stated by Sh. Piyush Goyal, Minister of State (IC) for Power, Coal & New and Renewable Energy in a written reply to a question in the Rajya Sabha today. In response, 36 Central PSUs have given their commitments to develop 18,988 MW of Renewable Energy Projects. The Minister further stated that PSUs were called for a discussion in meeting held on 23/07/2014. Meeting of PSUs was convened to explore the possibility of availability of power with other Power producers in the country so as to bundle with Solar Power. Several PSUs have agreed to the proposal. In order to achieve the proposed capacity of 1,00,000 MW of solar power, the investment required would be around $ 100 billion(@ Rs.6 Crore per MW). I. Re-allocation of coal blocks cancelled by Hon’ble Supreme Court through auction/ allotment. This will lead to improved thermal power generation in the country. II. For power projects which are affected due to short supply of gas, Government of India has sanctioned a scheme which envisaged supply of imported spot RLNG to the stranded gas based power plants as well as plants receiving domestic gas up to the target PLF selected through a reverse e-bidding process. The scheme envisages financial support from PSDF (Power System Development Fund). III. Renovation modernization (R&M) and life extension (LE) of old and inefficient generation units is considered as an economical option to supplement the capacity addition. A total of 70 thermal generation units with aggregate capacity of 12066 MW for LE works and 65 thermal generation units with aggregate capacity of 17301 MW for R&M works have been identified during 12th Plan. IV. Strengthening of inter/intra-state and inter-regional transmission capacity for optimum utilization of available power. V. Coordinated operation and maintenance of hydro, thermal, nuclear and gas based power stations to optimally utilize the existing generation capacity. The Minister further stated that To bridge the gap between supply and demand, 88,537 MW additional capacity (excluding 30,000 MW capacity addition planned from Renewable sources) have been planned to be added during 12th Plan. NTPC the largest power utility of the country is introducing Mobile Science Lab (MSL) a vehicle fitted with LCD TV carrying working Science Models emphasizing curiosity based learning for children in rural India. It is an initiative to revolutionize rural education and make hands-on learning accessible amongst underprivileged children. The three Mobile Service Labs were flagged off by Shri Piyush Goyal, Minister of State (IC) for Power, Coal and New & Renewable Energy, in the presence of Shri P K Sinha, Secretary Ministry of Power, Shri Arup Roy Choudhury , CMD , NTPC , Shri U.P. Pani , Director (HR) and senior officials of Ministry of Power and NTPC. Three Mobile Science Labs shall be initially deployed at NTPC's ongoing projects at Darlipalli, Pakri Barwadih and Kahalgaon through Agastya International Foundation. Each Mobile Science Lab will cover a set of about 20 schools around NTPC project generating about 16000 student exposures per year. More than 1,40,000 student exposure will be generated in three years enhancing level of curiosity and creativity among children. The instructors for mobile science lab will be from neighborhood community. • School visits: Each Mobile Science Lab will travel to doorstep of remote schools with 100+ hands-on science models covering topics in Physics, Chemistry & Math for awareness amongst children upto Secondary school level in line with National Curriculum Framework and NCERT syllabus. • Young Instructor's Program: Apart from teaching & demonstrating through experiments, students will be trained as Young Instructors to teach their peers. • Science Fairs: Science Fairs shall be organized for wider participation using simple models, and Young Instructors will demonstrate scientific phenomena such as solar and lunar eclipse, seasonal changes, pressure & volume relationship etc. • Activity Camps: Emphasis on activity based learning for community during summer & winter vacations. At night, MSL team will visit villages and demonstrate models & experiments in gathering spots of villages, with focus to impart sense of responsibility amongst parents, motivating them to send their children to schools. • Teacher Training: MSL shall organize Teacher Training programs to diffuse & propagate creative-thinking with problem-solving skills among school teachers. The instructors will work with mixed groups of teachers & children to bridge the gap between teacher training and classroom requirement. Environment related parameters in the Railway Production Units are being monitored as indicated by the respective State Pollution Control Boards. All old established Production Units of Railways have also set up systems as per ISO 14001 Environment Management System and environment related audits are carried out in accordance with the relevant provisions. The other two Production Units, namely, Rail Coach Factory, Rae Bareli and Rail Wheel Plant, Bela, which are new, have also set up internal mechanisms for monitoring environment related parameters. The steps taken by the Production Units for pollution control, efficiency in consumption of electrical energy and conservation of water include, interalia, provision of Effluent Treatment Plant (ETP) and Sewage Treatment Plant (ST) with water recycling; rain water harvesting; replacing of conventional bulbs & tube lights with energy efficient lighting such as CFL and LED in a phased manner and; use of non-conventional sources of energy such as solar energy in Rail Coach Factory/Rae Bareli and wing energy in Integral Coach Factory/Chennai. To bring greater focus on environment related issues on Indian Railways, an ‘Environment Directorate’ has also been created recently at the Apex level i.e. in the Railway Board to monitor such environment related issues. This information was given by the Minister of State for Railways Shri Manoj Sinha in written reply to a question in Lok Sabha today. Indian Railways has issued guidelines from time to time to harness wind and solar energy. Guidelines are also issued for implementation of various energy conservation measures. Indian Railways has installed solar and windmill plants of about 20 Mega Watt (MW) capacity. To reduce dependence on fossil fuel, it is intended to source solar and wind power progressively. 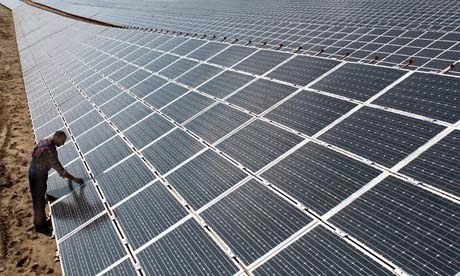 Indian Railways propose to set up 1000 Mega Watt (MW) solar plants by developers and about 157.5 MW of wind plants in JV mode on Railway/private land and on roof top of Railway buildings at their own cost with subsidy/viability gap funding support of Ministry of Non-Renewable Energy (MNRE) in next five years. A portal on Complaint Management was launched on 2nd March 2015, both in English and Hindi. However, the mobile application which was launched on same day is available only in English on Android platform. The public complaints and suggestions are being monitored on a real time basis. Necessary instructions have been issued to concerned officials to finalize the complaints at the earliest. However, no time frame has been set to redress the complaints. Bonafide passengers can send their valuable suggestions also through this newly launched portal. The details of the Railway Mobile App have been given wide publicity through Indian Railways’ Press Release, sharing the details on Indian Railways social networking sites such as Facebook and twitter with URL Rail Min India were also used to publicize this app. Upgradation of passenger amenities at stations is a continuous process. Such upgradation of identified stations in various Zonal Railways including North Eastern Railway is undertaken under various station upgradation schemes including Adarsh Station Scheme. 34 stations on North Eastern Railway have been identified under Adarsh Station Scheme, out of which 27 stations have been developed. The work of new line between Anand Nagar-Ghugli via Maharajganj (50kms) has been sanctioned in 2013-14 subject to requisite government approval. Such Card passes are issued to the sports persons from Railway Board entitling them to life-long free rail travel for self in 1st Class/2nd AC over all Indian Railways (except Metro Railway/Kolkata) by all mail/express trains. Sports persons other than Gold Medalists in Asian and Commonwealth Games are entitled to travel by 2A/3A in Rajdhani trains, Chair Car (CC) in Shatabdi trains and also by Duronto Trains on the authority of the said Card pass. On attaining the age of 65 years, facility of one companion in same class is also allowed on the Card pass. Such Card passes are issued with a validity period of two years to be renewed every two years. At present 633 sports persons are availing the facility of Complimentary Card pass.